Checkbook Ease Freeware is a free checking account and household budget program.This free software has so many great features that make it easy to grasp and utilize. View the household budget and check your checkbook balance at the same time to make adjustments to household expenses. Compare your planned budget with your real budget and make corrections to your expenditure in the future. Here are some of the major features: envelope budget system, retirement planner, home purchase planner, college planner, split transactions into multiple budget categories, budget and account monthly summary with charts, user defined payee list, automatic check numbering, quick transaction search, register sorting, select registry view by date, archive accounts, select transaction entry order, quick budget category entry from a list of 100 categories, easy checkbook balancing, recall prior bank statements, extensive search capability, quick search, 20 color backgrounds with matching calculator and calendar, print accounts, budget and transactions, on screen help buttons, user manual. 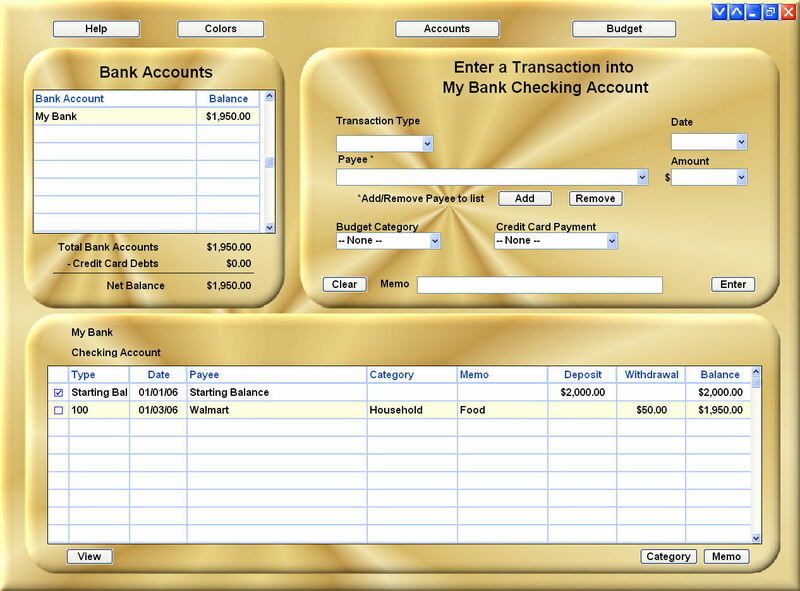 Checkbook Ease Freeware includes a free trial of the Premium Version with multiple accounts, transaction internet download, backup/restore data, import bank accounts, schedule transactions (auto entered or reminder), credit card debt reduction planner linked to budget, day planner, multiple calendars, notepad , task manager and picture viewer. This site does not contain serial number, crack, keygen Checkbook Ease Freeware serial number : serial number is the simplest type of crack. A serial number(cdkey,product key,etc) is register the program as you may already know. a crack or keygen may contain harmful software. If you cannot find the exact version you want, just give it a try. for more information read .nfo/.txt/.diz file include in zipped file.